I was reading a book that was given to me by the Superintendent of our School System called , “The Fred Factor”. The book is a great read as it discusses the importance of being an individual that goes out of his or her way to perform their job to its fullest. The story is about a Mail Carrier named Fred who took an incredible amount of pride in his work and was most concerned with building personal relationships with the people on his route to better be able to give them the best possible service. It is a quick read and leaves you wanting to be more like Fred in whatever it is that you have chosen to do as a profession. The reason I bring this up is prior to each chapter there is a quote from various philosophers and other great minds of the past. 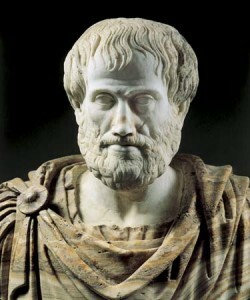 The one I liked the most was from Aristotle. The Quote went like this, “We are what we repeatedly do. Excellence, then, is not an act, but a habit.”. I liked this because it instantly reminded me of the 4 Laws of training and the fact that we are a living adaptive organism that constantly changes based on the stimulus we give it. This also reminded me of a Robin Williams quote from a movie, it might have been Patch Adams but don’t hold me to that. He was talking to someone who was thinking about quitting smoking. In the scene he looks at the person and says, “Are you a smoker, yes or no?” The person gave him a puzzled look but then said, “No.” So Then Robin Williams then asks the Person,” Then why are you smoking?” It was a funny scene because it was so true, you either are or you are not. Being caught in between can prove to be very unsuccessful. I have always felt this way about exercise. Either you are someone who likes to exercise or you are not. The fact is that we all ned exercise but many of us simply do not want to do it. It is impossible to ignore the basic laws of the human body that it responds to stimulus, changes based on the stimulus it receives, is designed to receive stimulus in a progressive manner, and is always trying to achieve homeostasis. If you are not someone who is currently exercising you are what you repeatedly do. In this case it means you are a person who is in a state of constantly losing your muscular systems efficiency which leads to lack of strength, flexibility, balance, posture, and enables pain symptoms such as arthritis, tendonitis, and many other skeletal and muscular issues to take over your body. If you are not someone who exercises I highly encourage you to become one. There are so many different options for how to get some form of fitness that I believe everyone can find something to do. A little bit can go a long way so if your current activity level is zero, try taking it to a one.